Enjoy this collection that serves as an inspirational reflection on the seasons and events in the Christian life from the well known St. Louis Jesuits. 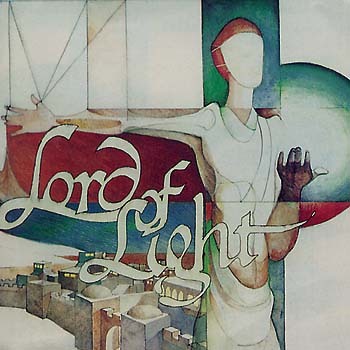 Released in 1980, Lord of Light is the fifth collection of music produced by the St. Louis Jesuits. One of their all-time best-selling albums (second only to Earthen Vessels), this popular collection offers an inspirational reflection on the seasons and events in the Christian life. Songs include the ever popular "Here I Am, Lord," the dramatic and somewhat imposing "Redeemer Lord," the slow and lyrical "This Alone," the hopeful and lively "City of God" and other early favorites. With melodies and words that are prayerful and perfect for a number of very different settings—from single guitar, to piano-backed ensemble, to organ, to full choir and organ—Lord of Light offers liturgical music that serves the church at large. Music such as this that satisfies standards of excellence all the while drawing the assembly into prayerful singing deserves to be called good, strong congregational music. And so, let it be said, Lord of Light offers an array of good, strong music for any and every assembly.